STUNNING SUNSETS FROM THE BALCONY. 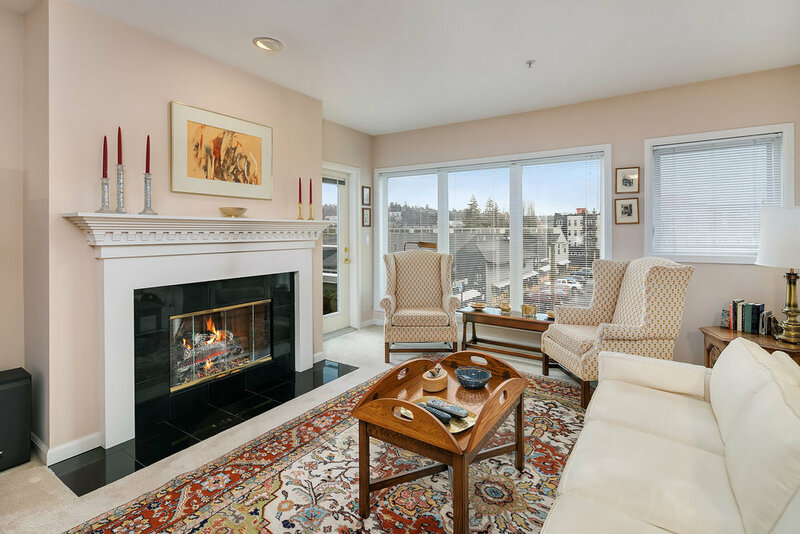 Located on the top floor of North Pointe Condos, this fourth floor corner unit offers 2 beds, 2 full baths, and a den. Gracious floor plan with open kitchen, informal dining room, and living room with mantled gas fireplace and abundant natural light. Spacious master suite with walk-in closet, dual sinks, bath, and shower. Second bedroom features tray ceilings and access to Southwest facing balcony affording views of the Space Needle and spectacular sunsets. French doors open to cozy den; laundry in-unit and 2 parking spaces. Located steps from Seattle’s iconic Gasworks Park, Lake Union, Burke-Gilman trail, and the best of both Wallingford and Fremont neighborhoods.